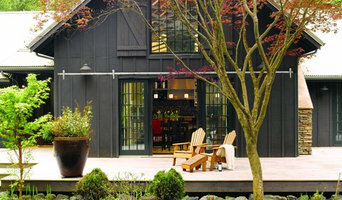 BC&J is a six person architectural and urban design firm located on Bainbridge Island. The firm specializes in responsible, engaging, and sustainable residential and community based projects which range from private single family housing to community neighborhood planning and mixed use infill work. Our strength in the arena of small group consensus facilitation and stakeholder building is a prime component to our urban design work, while the private residential clients benefit from our commitment to hear, understand and integrate their voice into the home design. 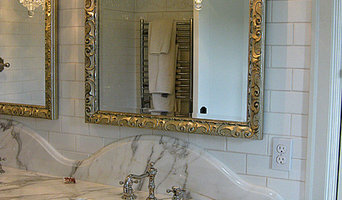 We work closely with our clients to ensure their voice and personality are integrated into the design of their home. Located on Bainbridge Island, many of our projects have been waterfront lots, earning us a reputation for Shoreline Masterplan Specialists. 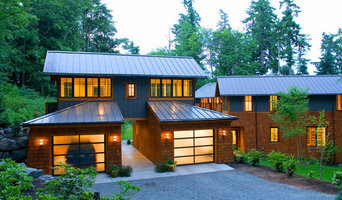 National Award Winning Design/Build Firm Named one of the top 25 Design/Build Frim in the Seattle Metro Area Voted 2016, 2017,2018 and 2019 Best of Bainbridge Island ~ Architecture, Interior Design and General Contractor The Lawson Design Studio Exceptional Service, Driven by Design Awarded "BEST OF HOUZZ 20f12", "BEST OF HOUZZ 2014" ,"THE BEST OF HOUZZ 2015", THE BEST OF HOUZZ 2016".Best of HOUZZ 2018. 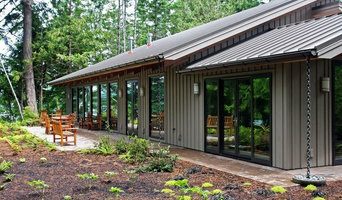 The Lawson Design Studio is a Bainbridge Island based design and construction firm that has been in business for 27 years. While The Lawson Design Studio specializes in fine home design and building, the firm has experience with all size commercial and residential projects, and works together with each client to find what is special about each space, and to make each house a home. Good architecture is always the result of collaboration. What we enjoy and excel in most on the job is working directly with clients and builders to procure a successful project. We do this by maximizing the owner-architect-builder-relationship within a client-centered, holistic design approach. Johnson Squared Architects work with each client to ensure that the project develops in line with their dreams, values, lifestyle and budget. Each project begins with a study of the building site with consideration of the principles of design, sustainability, and context. We consult with engineers, contractors, artisans, and other specialists to ensure that design objectives can be achieved within the project plan. We are happy to show you our current design work and perhaps discuss how we can help you with your next building or remodeling project. Please do not hesitate to reach out to us! Place Making The theme of our work here in the Pacific Northwest is based largely on the dialogue between a building and its setting. We are fortunate to have been involved with building sites in dramatic natural settings. The way in which one utilizes and controls the elusive natural light, water and mountain views, topography and other rich qualities that make this region special, is often the key to unlocking the spirit of a place and creating a great design. Experiencing the change in seasons and the dramatic weather of this region from a sheltering place or open place according to its exposure is a vital source of pleasure in architecture. Ours is a region where the temperature of a deck or terrace on a site can vary ten degrees or more depending upon its placement. Each site as possessing potential opportunities to be unlocked through careful planning. It is of critical importance today that architecture reflects the traditions and climate of its locale with clarity and wit. We create highly personalized houses that take cues from the dreams and unique qualities of their owners. We listen very well. Often, the most inspirational components of a residential design come directly from an idea put forward in a collaboration with clients. We are drawn to the challenge of creating great small buildings, even with very tight budgets, as well as on large-scale projects. We have been fortunate to have the opportunity to work collaboratively with some of the finest craftsmen in the area. On several of our new projects, we are incorporating a whole new generation of building products and techniques that use recycled and sustainable systems. This mandate is exciting to us. It can take on many dimensions in design and construction. Everything is involved, from placing the building on the site, selection of materials and systems, how they are installed, and how the building performs over time. In addition, the logic of choosing appropriate structural systems and materials can be critical. The best buildings respond both poetically and practically to the spirit of their regional place, both natural and manmade. That is where the magic lies. The buildings we call classic are those that stand the test of time, physically and aesthetically. These must be detailed and constructed competently with quality materials, and also be designed to express the qualities that make them a special place, to create lasting value. Peninsula Construction Service LLC (PCS) is a family owned and operated business that takes home building to the next level. Wayne Kentner has been building and designing residential projects for over 27 years, and his vision is to create and design friendly homes, with quality craftsmanship, meticulous attention to detail and timeless finishes. As a general contractor and home builder, PCS can help you with anything that deals with construction - from residential bathroom & kitchen remodels, to new home construction, and even to commercial work. We understand that each client is unique. Some come to the experience the anticipation of completing a complicated process. Others look forward to embarking on a project they've been dreaming about for years. 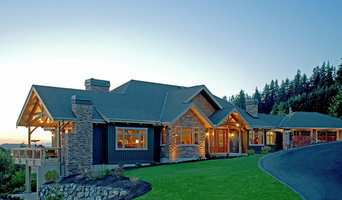 Either way, Wayne and his team bring an understanding of their client's approach to homebuilding. They have deep relationships in the construction business and a structured process. His signature style of working with clients has come from experience. Wayne works one-on-one with his clients on lot selection, home plan/architectural design, space planning, and every detail throughout the build. He truly enjoys every facet of custom homebuilding and renovation. Wayne believes that "you are only as good as your last project." For that reason, he and his team are committed to making each project better than the last. At PCS, we believe our job as a professional is to build the masterpiece that will house your most important treasures. No family is like yours and you deserve a custom-designed and built home or renovation that will bring your family years of enjoyment. We work with you to ensure that we provide a unique home that not only looks beautiful but also makes you proud. We are locally owned, operated and licensed, bonded & insured. Call us today for a free estimate! Recognized as a Best of Houzz award winner in 2014, 2015, 2016 and now 2017 as well as one of Seattle's 15 Best Architects in 2015 by Build Direct: <a rel="nofollow" target="_blank" href="http://www.builddirect.com/blog/the-15-best-architects-in-seattle">http://www.builddirect.com/blog/the-15-best-architects-in-seattle</a> Shuler Architecture is an award winning residential design firm committed to creating distinctive, highly crafted architecture. Small by design, we provide clients with responsive architectural service whether remodeling, new construction, interior design, or site consultation. For more than 30 years, we have specialized in the custom residential market and to date have completed more than 500 remodel and new construction projects in over 15 states. Our wealth of experience will guide you through the complexities of zoning and building codes, design and planning, and construction scheduling and project management. So if you are planning a project in the coming year, contact us before you begin. We will meet with you for a no-obligation consultation to explore how we can pinpoint your needs, set a realistic budget and then develop a design that will result in the home of your dreams. Siemens Woodworking is a collaborative design-build company with a focus on high-end and luxury residences. Our highly skilled team of carpenters and subcontractors enables us to build your home with the highest level of quality and detail. We are committed to an open and enjoyable construction process, resulting in beautiful, durable, timeless homes. Litzler Studios is a multidisciplinary business offering services in architecture, interior design, and fabrication of custom furnishings and artwork for your home. BEST of HOUZZ 2013, 2014, 2015, 2016, 2018 Established in 1999, CAST architecture is a small firm specializing in modern design and sustainable practices in the Northwest. Our design work has been featured in many publications, such as Fine Homebuilding, and were recently selected as one of the top young architecture firms in the Northwest by the Seattle AIA. CAST architecture brings broad expertise and an integrated team of consultants and contractors in a creative collaborative which fuels innovative design solutions for specific challenges, budget and site. Our work is vibrant, expressive, and yet very pragmatic. It is shaped by the site, the climate, the budget, but most of all, the desires of our clients. CAST began as a design/build firm, and our roots as a general contractor ground our work in the practical realities of putting a building together while demanding high craftsmanship on a budget.